I recently was able to acquire my high school dream car - a sweet, nicely preserved '92 Geo Prizm GSi. With this addition, we now have three cars in our two-car driveway and with just my wife and myself as licensed drivers, while that is awesome, it's also kinda silly. So we are looking at consolidating. Currently in addition to the GSi, we have my wife's 2008 Mazda3 2.3l and my 2005 Ford Escape with the same 4 cylinder - easy swap in case one of the engines grenades. Ideally, a replacement would take the best qualities of the two, but generally the following: (1)reliable - we live in a small town without too many repair shop options. I have limited resources for fixing - small jobs are not a big deal, but I'm not swapping out a transmission here; (2)not huge, reasonable mpg- but not deciding factor as we don't drive a ton; (3)some sort of cool factor - wife doesn't want to be just another crossover or SUV in the pre-school pick up line; (4)flexible interior space - we've got one kid, 5 years old now, and we pack pretty light, but there are somewhat frequent Home Depot runs; (5)hatchbacks or wagons preferred, but interesting options considered. Budget is around $10-12k. Auto transmission is preferred but not necessary. We are located in the Pacific Northwest - fly and drives are possible, but may end up in divorce, so choose wisely (mostly an internal monologue there). Do your worst/best! 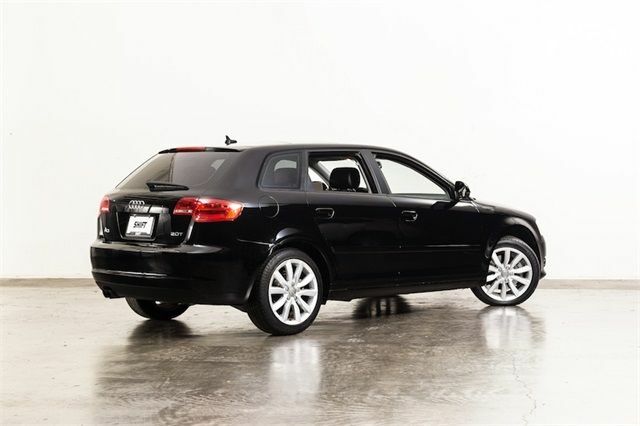 DT E-i-C Vince: I think that this 2009 Audi A3 2.0T here on eBay offered for $10,625 buy-it-now located in Los Angeles, CA is an interesting alternative to the VW Golf and Focus hatch that might be your first choice. 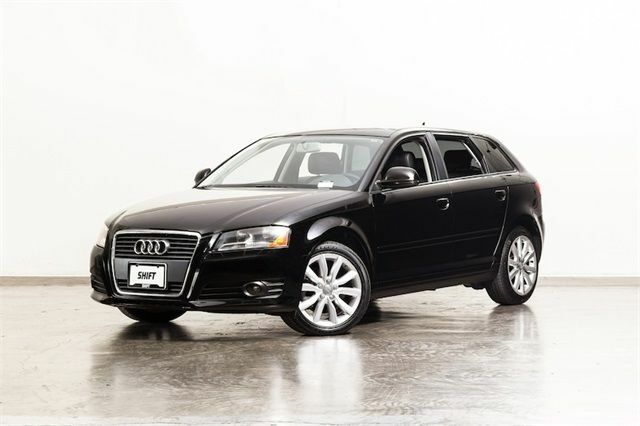 The Audi is a few years older, but offers something more interesting for your cash. What do you guys think Ray should get? Comments below. I like Audi but the upkeep is a major concern the latest models seem to be less trouble prone or maybe they have not hit the expiration date for failure prefer Jap or Korean models. Kinda of shame very few station wagons left if any Domestic along with Domestic Vans all are imports from Europe, Korea & Japan. I don't trust Audi / VW for reliability (after owning a few) and I am starting not to trust BMW as well (currently own two that need constant attention). Oooh, I like that - definitely would add to the list of possibilities. Sean-have you had any luck finding any TSX's? I was considering the TSX when I bought my Passat wagon. My wife has not been a fan of the DSG in the VW (which was why I tried to find a 2010 instead of a 2009(but that's an argument, I mean discussion, for a later therapy session) which has made me want a TSX even more than before. Just imagine, in about 6 years, we should all be fighting over the Buick (one year only) Regal Wagon and cursing GM for having sold Opel. I have found some but they sure hold their value. Good ones look to be above 15k. I really like them though. They must be fairly rare. Our household had 2010 VW TDI sportswagon. It was so plagued with issues that I sold it for pennies on the dollar. It's funny now because VW keeps sending me a letter offering me a bunch of money for it. My typical luck. A friend had one of these, and although the interior is very nice and the sound system is beautiful. It's a Sinkhole POS....I'll keep my V50 that I've had for 10 years. The reliability of the Audi was the first concern I had when I saw the pix above, but damn if it isn't a good looking car. However, your vehicle is one that I've definitely had my eyes on - how's that V50 working out? Any issues? I've had it 10 years and 150k. It's not the T5 so it's basic transportation. I wash and wax it once a year in the fall and the only rusty thing is the exhaust which I am currently starting to hear. NE Ohio is not good on cars and at 10 years old they usually are leaving pieces on the ground, but this one is solid underneath. I've had 2 preventive maintenance visits. The first was at 85k for all fluids and the second for timing belt and an air conditioning compressor clutch tightening at 110k. I did the first brakes myself at 110k. At 130k I had a bearing in the front and did some joints and tie rods at the same time along with struts all around. I should be good for another 5 years now less the exhaust maybe. Those are really cool, too bad no stick? Yeah, no stick. Third pedal available only on the sedans. Sad! The sportcross is very cool and was tempted last year for one with only 50k on it and the owner said only driven in the nice weather! Who preserves a Sportcross? Shoulda outta woulda got it. Also before I forget, the Turbo Subaru Legacys are also really slick hatches. Toyota Venza cannot go wrong with Camry build quality did find the interiors a little bit of a drag. We test drove one a while back, felt very grandpa, Cadillac-y to us. careful as it is sneaky fast from 40to65 ! We ended up buying a CX-5. CX-5 and Mazda 6 was on my list also but stayed with another Accord Sport not sure i will stay with Honda next time. A Volvo P2 chassis wagon are fantastic, uber safe and if you stay FWD, they are very reliable. I had an '05 V70 T5, it was decently roomy, tons of trunk space, and sporty. The regular 2.5T is also a good option. Get an '05-07, for the best reliability and cosmetics. Even one with low mileage will be below your budget. The V50 wagons are also nice (once again stay FWD), but the V70's look better, are finished nicer, and offer more room.